Beach front unit with a beautiful 8th floor southwest view over the pool and the Gulf of Mexico. Watch the waves roll in from your master bedroom or living room balcony. This completely furnished unit is located at South Seas in a quiet gated community. Accommodations include king-sized bed in master bedroom, two single beds in the second bedroom and a queen sized inflatable mattress. Amenities include a heated pool, tennis courts, boche ball, shuffleboard and an exercise room. Boat docks are also available at an additional fee. Enjoy many nearby activities swimming, shelling, golfing, bicyling, tennis, scuba diving, para sailing, jet skiing, kayaking and fine dining. This two bedroom condo has been completely updated and offers an upscale vacation experience that will long be remembered. Kick back on the balcony with a cool drink, the views shown are what you will see. The gated complex features heated pool, tennis courts, an outstanding exercise facility and much more. Great restaurants, shopping, fishing, scuba, snorkeling, jet skiing, para-sailing, shelling, Everglades tours, golf, tennis, Naples zoo, dinner theaters. The new Red Sox training camp (JetBlue) and Twins training camp (Hammond) within 50 minutes drive. Northeastern Owner that loves Southwest Florida. There's no place like Marco Island. We vacationed throughout the Carribean and searched all over to find a perfect vacation spot. After searching many years, we discovered Marco Island and immediately fell in love with it. We looked at many properties on Marco Island, then chose South Seas based on the views, beach front access, boat docks, ammenities and upscale environment of the grounds and unit. Tennis courts, pickleball courts, boche ball, shuffleboard and a quiet atmosphere in a safe gated community. Beautifull boat docks with quick access to the Gulf of Mexico. If you don't belong on the property you will not get past the guard house. Covered parking. Well kept property. Tigertail Beach Park offers plenty of FUN THINGS TO DO FOR KIDS on Marco Island. Stand up paddleboards, kayaks, sea squirts, etc. are available to rent to explore the 79 acres of paradise. Available in the unit. Wifi access code provided upon rental. Cable in master bedroom and living room, but not in guest bedroom. 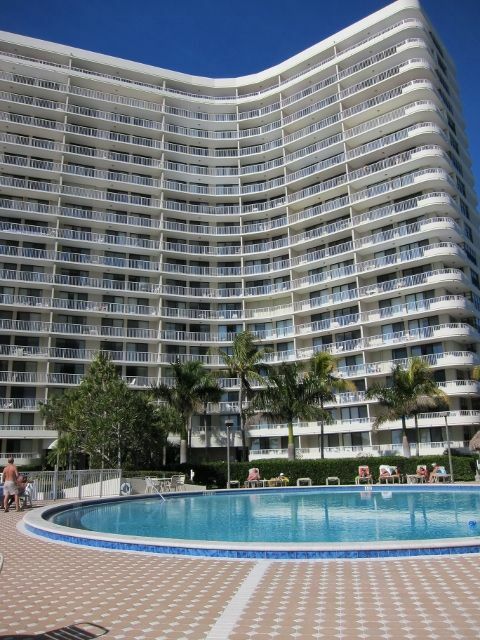 Beach front unit with a beautiful 8th floor southwest view over the pool and the beach. Quiet gated community. Amenities include a heated pool, tennis courts, pickleball, shuffleboard, boche ball and an exercise room. Boat docks also available at an additional fee. Enjoy many nearby activities swimming, shelling, golfing, tennis, scuba diving, para sailing, jet skiing and fine dining. This two bedroom condo has been completely remodeled and offers an upscale vacation experience that will long be remembered. We expected to have beds for 6 but the “Hidabed” was hiding! The ad hadn’t been updated and there was a single aerobed and no sheets or blankets for it! Luckily my son decided not to come!!!! Otherwise it was a great trip!! Wonderful place, very well equipped! Would definitely come back. Great unit, very clean and even nicer than the pictures indicate. We took our daughter and a couple friends to Marco for spring break as they are graduating from college in May. Beautiful unit, awesome location, great views, totally enjoyed the stay, would highly recommend! Gorgeous view, lovely unit, wonderful property. Pool was fabulous. Beach gorgeous. Folks were really friendly at the property. Traveled with small children and retired folks were totally accommodating with pool play etc. Security with parking and guests in property seemed overkill in calm Marco island. One of the gate guards was rude to our guest. You have to have a paper copy of your booking confirmation to show to guard and the registration desk upon arrival. Seemed totally ridiculous. Suggest owners advocate that the condo association chill out. Tennis Courts, Boche Ball, Pickle Ball, Shuffleboard and Boat docks available. Multiple week discounts are offered, just ask. The South Seas Northwest Condo Association rules require a minimum stay of 1 week. Stays starting and ending on Saturdays are preferred. Other arrangements may be possible depending on the particular dates desired. Also, there is a $25 registration fee paid to the condo association after your arrival.